Just wanted to share project that my student, Laura has been working on over the past few months. 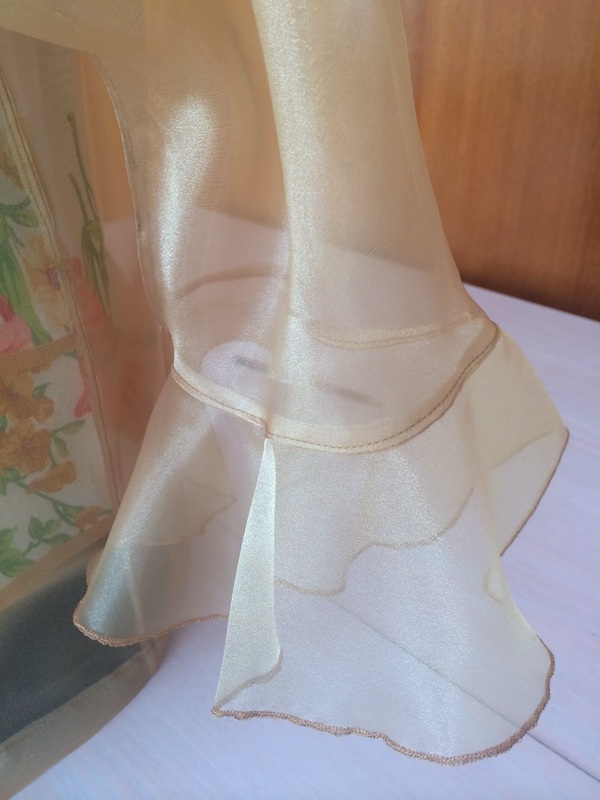 It started out as a bit of an experiment to learn some techniques for sewing sheer fabrics. Laura wanted a simple jacket made from an inexpensive organza, which may, or may not, see the light of day. Laura wasn't concerned about the result, just wanted to learn the techniques. Sheer fabrics do require different construction techniques. As you can see right through the fabric, the seams need to look smooth and inconspicuous. We used french seams and narrow double stitched seams and triple layer hems to construct the jacket and trimmed all the seam allowances right back for a neat finish. When the jacket was almost done Laura decided to add flounces to the sleeves - another new technique for her. the sleeves were finished with a rolled hem on the overlocker. 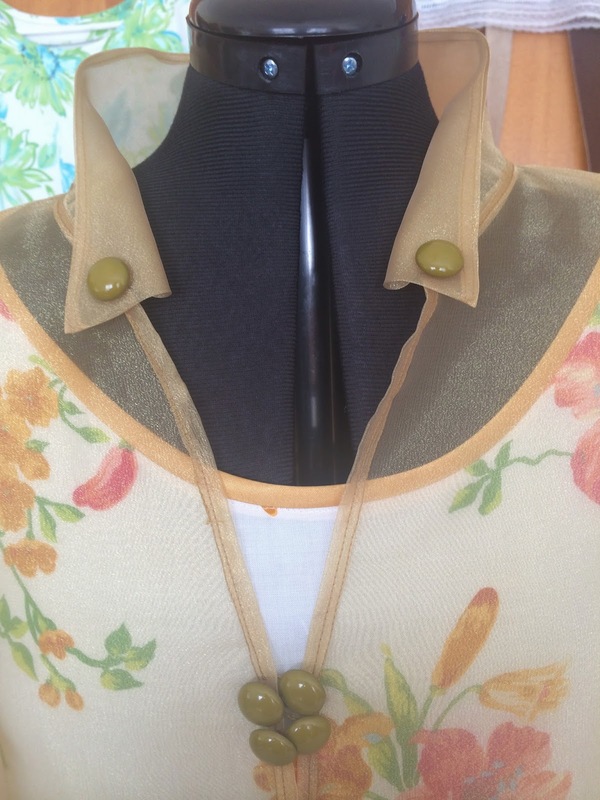 The buttons on the collar add a classy touch and the cluster of buttons on the front are done up with thread loops. As you can see the results are excellent and this little jacket will definitely see the light of day! Or, more likely a candlelit dinner. This jacket lifts a pretty camisole top to a formal level. It will be a great travel option, taking the cami from daytime to dinner date with ease, and no added bulk in the suitcase. If you'd like any further information regarding the techniques we used, please feel free to contact me here. How elegant! And beautifully constructed! Bet she gets a lot of admiring compliments. Thanks Cherrypix, I am sure she will! 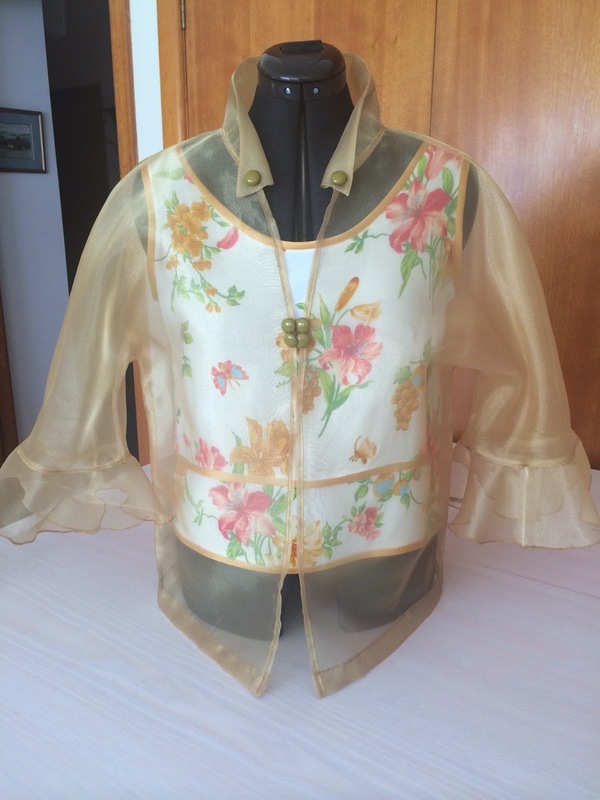 Yes, this blouse is very nicely made. Sheer fabrics are way beyond my capabilities at the moment but I admire what others can do! Sheer fabrics aren't as difficult as you might imagine. By using a few tricks they will behave reasonably.